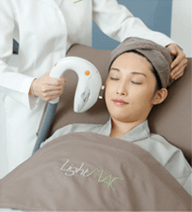 LightMAC Medical Skincare Centre has over 10 years of experience in medical beauty industry. All treatments and top-advanced medical equipment is approved by FDA, the Korean KFDA and CE. All practices are monitored by qualified doctors and professional medical team. We provide services including consultation services, IPL and Laser treatments, radiofrequency treatments, contour lifting, various skin care, etc. In line with the business development, we would sincerely invite the ones who would like to advance your career to a higher level to join our medical professional elite team. Interested parties please call our recruitment hotline at 3426 8090 or send your resume to hr@lightmac.com for interview arrangement. *The above positions are required to work on-shift. * Personal data collected will be used for recruitment related purpose only.